Made in USA beats Chinese goods on price for a change! There have been a number of news organizations talking about the Made in USA movement. More retailers are starting to offer more products Made in U.S.A. — and even the big guns like Walmart have jumped on the bandwagon due to customer requests. News reports have also stated that more American’s are looking for the Made in USA label or wording on products than in the past. 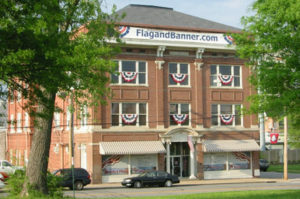 At FlagandBanner.com we did an experiment a few months ago we’d like to share. Just to test if one of our larger product lines could be manufactured in China for less than what can be manufactured in the United States, we did a test run. The results surprised some of our staff while others were glad to see they were right. We asked for a supplier in China to produce 100 items. It took weeks for communication, manufacture and shipment. When we received the products, we were not impressed. The quality was poor compared to our Made in USA product of the same type. They also had several problems that had to be corrected in our own manufacturing facility before the product could even be considered ready to sell. 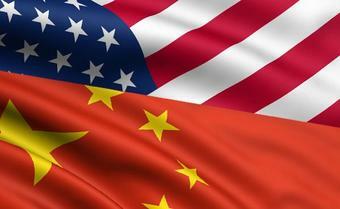 While the Chinese made products on price point alone were significantly cheaper than the American made, the cost of shipping and wait time as well as having to rework all 100 products in house made them more costly than their American counterparts. If the experiment had worked, we could have saved around .90 cents each but in the end we spent upwards of $2 more for a lesser quality product. We were surprised by the results but in the end it turned out to be a good surprise. What we were already selling was the better deal in the long run. It cemented our belief more than ever in the American made philosophy and gave us a very nice anecdote to use in favor of American Made products. One of the biggest things we renewed our faith in was just because a cheaper price may seem a better deal — sometimes it just isn’t.